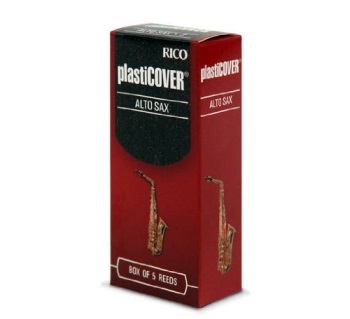 Plasticover reeds in strength 2.5 feature the traditional Rico cut with a plastic coating, offering more brilliance to the sound. Designed to resist moisture and climate changes, Plasticover is ideal for doublers who need to make quick changes between instruments. Whether in moist tropics or in desert heat, Plasticover responds instantly. The durable coating also provides a clear, projecting tone, making Plasticover a favorite with jazz, studio and pop musicians.